Today's post is different than one I have ever done before and one I am so excited to share and experience with you all. 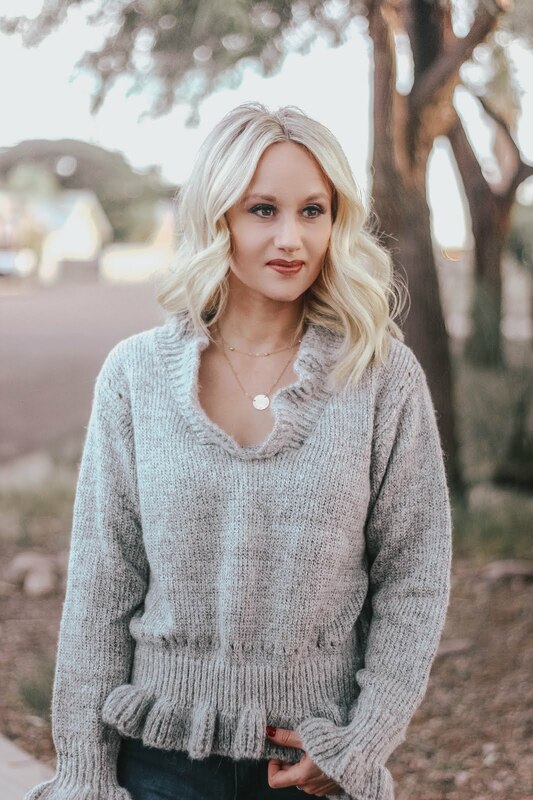 I am teaming up with Taudrey (which is a beautiful jewelry and accessory brand, that crafts and personalizies pieces by hand) to launch a special piece, that we designed together! 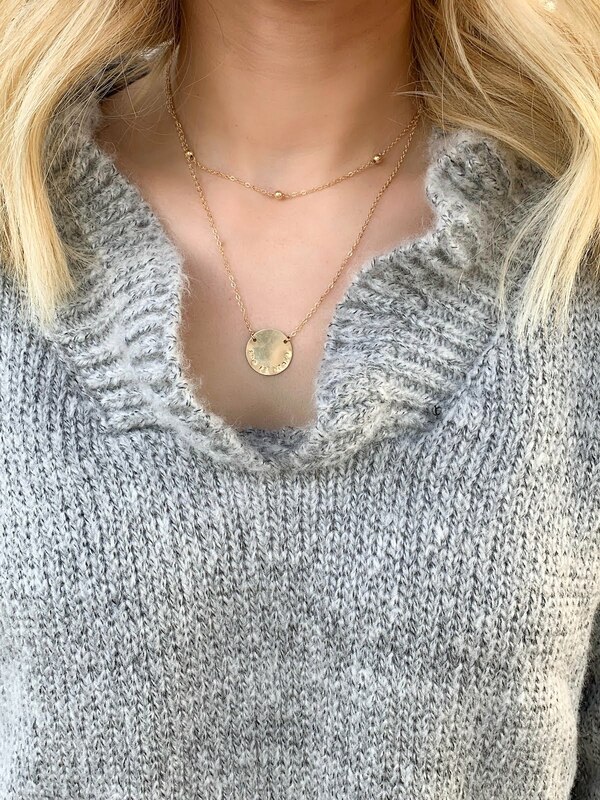 If you have been a long time follower you know that I only wear personalized pieces. There is just something so special about them and mean a lot to me. 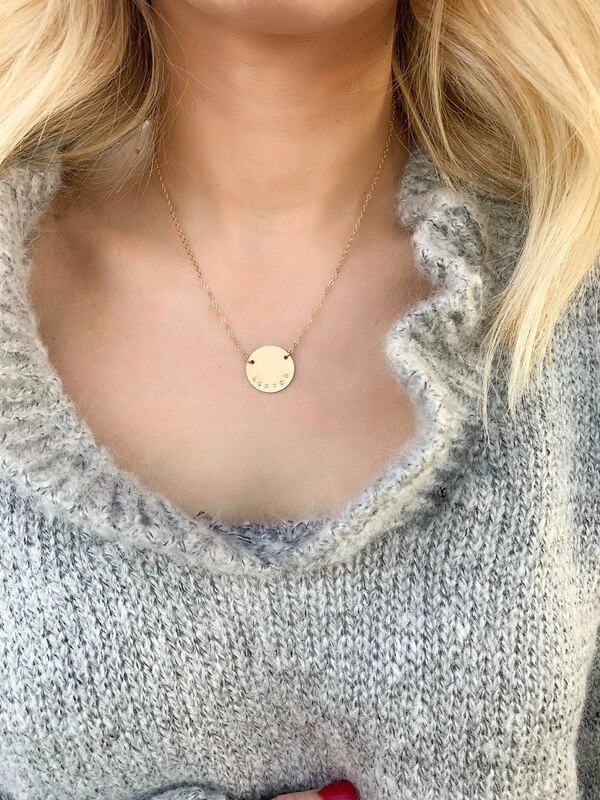 So we wanted to design a piece that was dainty, yet simple, and easy to wear with anything. 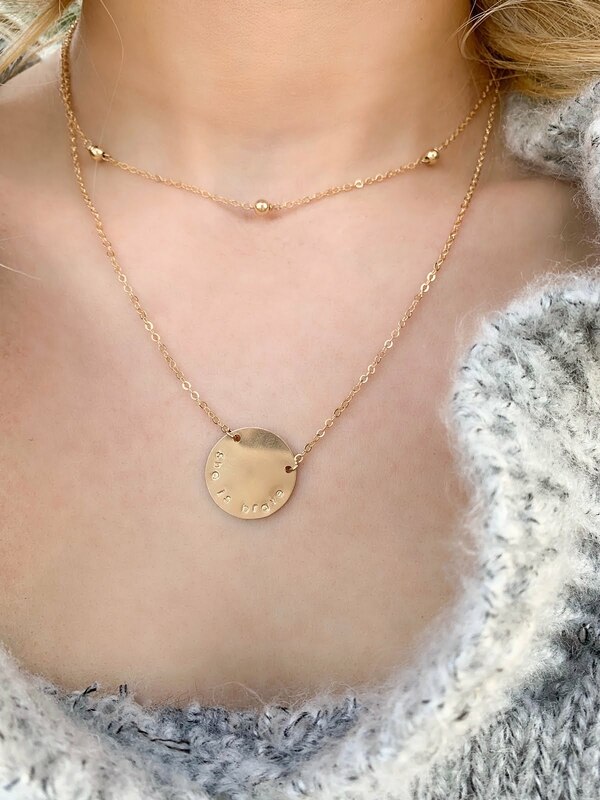 The first one is a layered option which comes already pre-layered together, so you get a 2-in one necklace. I had mine personalized with "SHE IS BRAVE" which comes from my struggle with infertility. My son's middle name is Brave, and where I get my blog name "Brave Blonde." I love the "SHE IS BRAVE" because we all are fighting a battle and let this be a little reminder that you are BRAVE and can get through anything. You can also personalize this with whatever you want. Your child's (or children's) initials, birthdays, a small quote, etc... up to 12 characters. The second option is the single necklace. It can also be personalized with anything up to 12 characters. Mine is personalized with my name, but again you can personalize it to fit you. 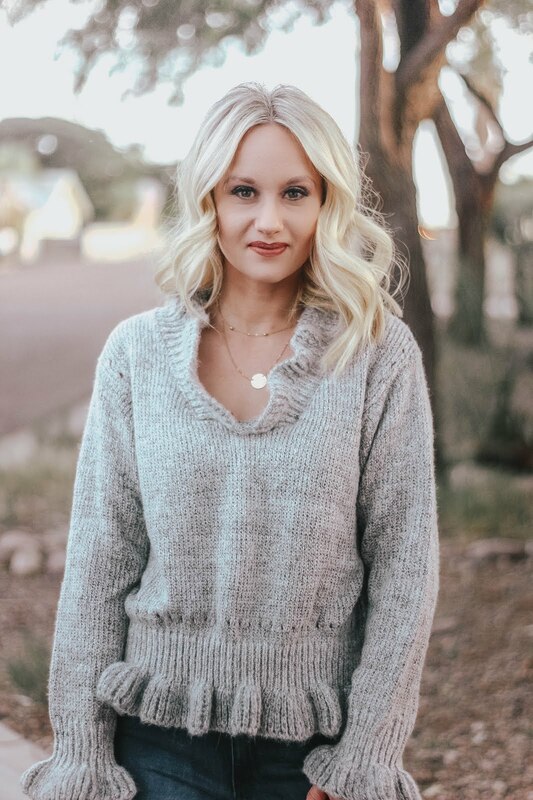 Taudrey will be offering the biggest sale of the year come Thursday, BUT TODAY ONLY we are offering all Brave Blonde followers 30% off these two pieces before anyone else and before they sell out! USE CODE: BRAVE30 at checkout. I'm also taking over Taudrey's Instagram Stories today! So you can follow along by following them here.